The European Union Delegation to the Republic of Moldova launches the EU prize/s for the civil society in the country, to reward and encourage tangible achievements and initiatives by civil society organisations at national, regional and local levels that made a lasting and positive impact on the Republic of Moldova’s democracy, economic development and social cohesion and promoted European values (funded by the European Union). 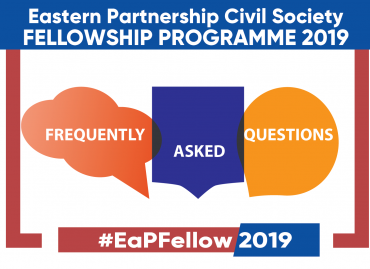 Support to Civil Society is a key element of the European Neighbourhood Policy with a view to strengthen and promote its role in reforms and democratic changes taking place and its capacity to engage with public authorities of the Republic of Moldova. Through the civil society awards, the European Union Delegation, as the organizer of the event, seeks to reward the projects and organisation teams that demonstrated innovative approaches to difficult themes or issues, managed to generate significant concrete results and sustainable beneficial impact at local or national level from the projects financed. Taking into account the importance of civil society activities in the Republic of Moldova, funded by the European Union, the awardees of the gala will be publicly promoted by the EU Delegation in its internal and external communication. The awardees will also receive support from the EU Delegation in light of enhancing the communication potential of the success stories presented. In this respect, the key results of the awarded projects will be show-cased in future strategic communication activities of the EU Delegation, via on-going relevant projects for support to CSOs and strategic communication on EU assistance provided to the Republic of Moldova. Instrument for Democracy and Human Rights (EIDHR), the Non-State Actors and Local Authorities thematic programme (NSA-LA or CSO-LA), the ENI Civil Society Facility, the Confidence Building Measures Programme or others, are invited to sign up or be publicly nominated for the awards competition. The EU delegation intends this awards competition to become an annual event. The 2018 European Civil Society Awards Competition for the Republic of Moldova will reward projects finalized by 31.12.2017, financed by the European Union directly or indirectly through sub-grants since 2008. Awarded organisations will be presented at an Awards Gala that will take place on July 12, 2018. Through the award of this prize, the EU Delegation’s objective is to raise awareness of the substantial contribution which civil society organisations can make to good governance, democracy, inclusive economic growth, social cohesion and peaceful conflict resolution, and last but not least, to improving the life of the citizens of the Republic of Moldova. (1) Democracy and good governance award – for the best initiative promoting democratic changes in society and decision-making, participation of underrepresented groups (women, youth, disabled, minorities, etc), engaging them in monitoring policies, discrimination and advocating for changes, defence of human rights, advocacy for policy changes, monitoring the implementation of democratic reform in a particular sector, promoting transparency and accountability of public authorities and institutions, including through professional and independent media, justice reforms, etc. (2) Cohesive community award – for best local health, education and/or social initiatives to respond to population needs, reaching especially women, children, elderly, people with disabilities, etc. (3) Inclusive economic growth award – for the initiative which best contributed to smart, sustainable and inclusive economic growth and development, reducing poverty, job creation, economic empowerment, trade promotion, business development, etc. (4) Confidence building award – for the best confidence building initiative contributing to building trust and reconciliation, through concrete, viable solutions to some of the problems that people face on both banks of the Nistru river, through their effective engagement with different stakeholders. (5) Local initiative award – for the best action implemented by local/grassroots organisations that contributed to the development of their community. All categories will reward and encourage tangible achievements and initiatives by civil society organisations that significantly contributed to promoting European identity and integration. Such achievements and initiatives have to be creative and innovative and make a long-lasting and positive impact on the public’s perception of Europe and the integration process. 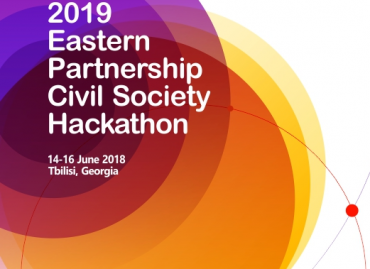 European Civil Society Awards Competition is an initiative of the European Union Delegation in the Republic of Moldova, which is the only responsible entity for the coordination, organization, communication and promotion of the project and of the event. Moldova (including the Transnistrian region), which have implemented projects/actions financed by the European Union can be nominated or can register under all competition categories. Organisations which implemented projects/actions starting with 2008 and finalized by December 31, 2017 the latest, the results of which are presented until this date, are eligible to participate. Organisations publicly nominated or self-nominated which did not successfully implement projects financed by European funds are not eligible. An organization can be nominated under a maximum of two competition categories. The selection of awards will be done by the EU Delegation to the Republic of Moldova. Public nomination or self-registration will take place between 01.06.2018 – 24.06.2018. 1. One page description of the project/action implemented by a civil society organisation with particular focus on concrete impact on improving the life of Moldovan citizens, to be submitted in Romanian or Russian languages. The description should make clear reference to the name, number of the EU funded project and/or financing instrument. 2. Communication/visibility products to show off the concrete impact of the project/action funded by the European Union on the daily life of Moldovan citizens. 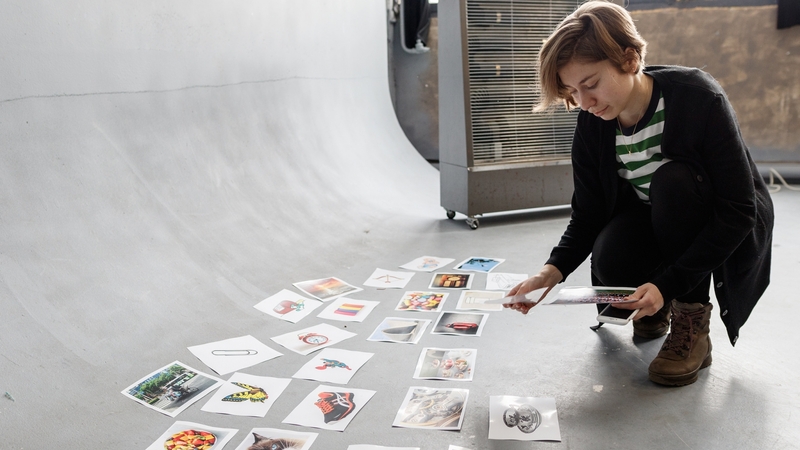 The communication/visibility products can be: videos, photos, communication campaigns, human/feature stories, etc. 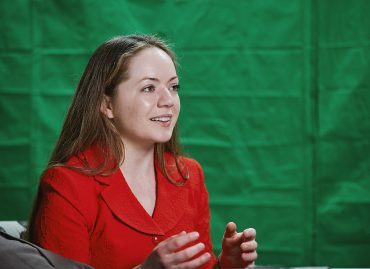 Upon organizer’s request, participants have to be able to present official documentation or other evidence which could support the statements. 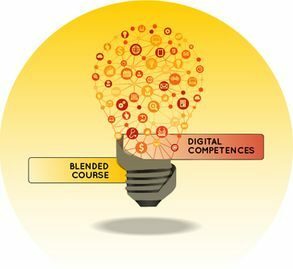 If inconsistencies will be identified or if the applicant will be unable to support essential information provided in the description, the application could be excluded from the competition. 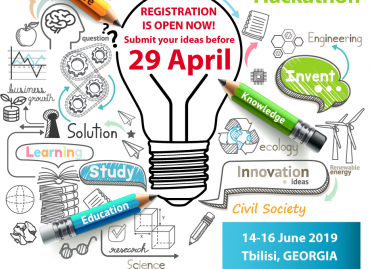 European Civil Society Awards Competition 2018. The winners of the competition will be announced ONLY during the Awards Gala and subsequently communicated on the European Union Delegation web page. The prizes awarded during the ceremony of the European Civil Society Awards Gala are honorary and don’t include a financial award. For any additional questions please write to: [email protected]. 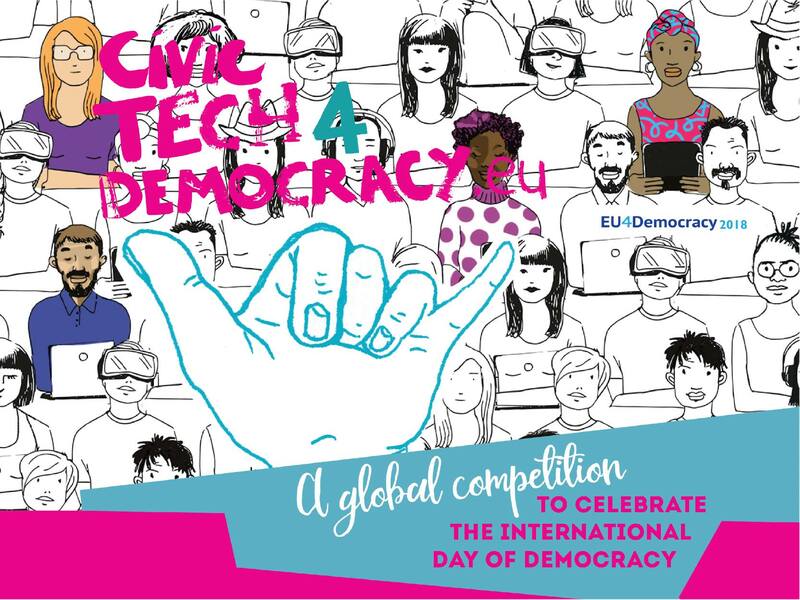 #CivicTech4Democracy: The EU’s Global Competition to Celebrate the International Day of Democracy – apply before 31 July 2018!